Sometimes you pick up a book and are drawn in by the first sentence...or the first paragraph...and you just know that you are going to enjoy it. 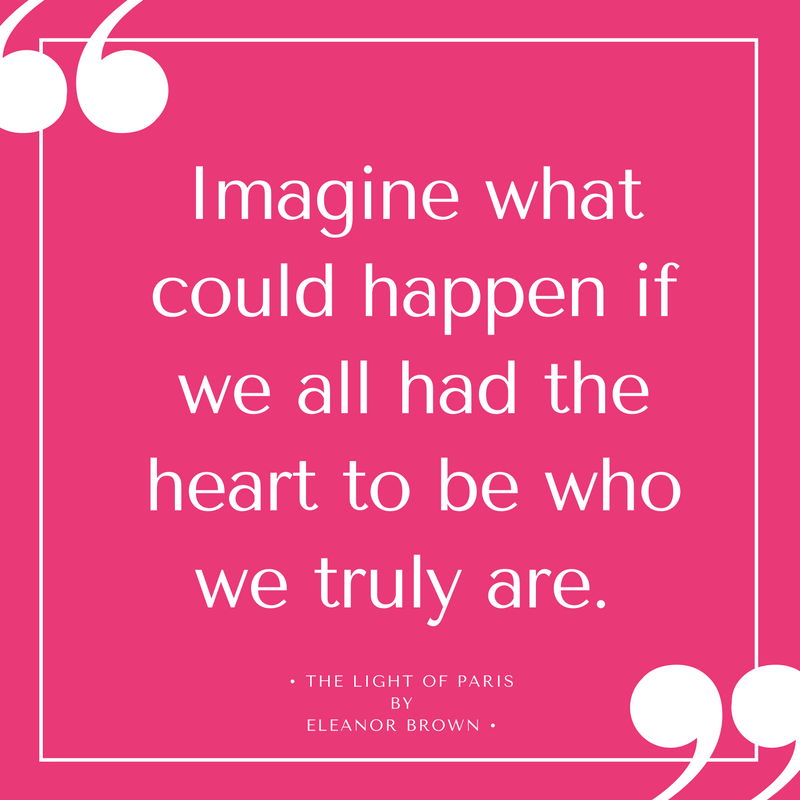 I instantly felt that way about The Light of Paris by Eleanor Brown, and it didn't disappoint. "I didn't set out to lose myself. No one does, really. No one purposely swims away from the solid, forgiving anchor of their heart. We simply make the tiniest of compromises, the smallest of decisions, not realizing the way those small changes add up to something larger until we are forced, for better or worse, to face the people we have become." This is how we are introduced to Madeleine, and instantly you can feel how unhappy she is in her current life. From the outside it looks like she has it all. A handsome and wealthy husband. A beautiful condo in Chicago. She spends her free time volunteering at a local art gallery. But inside, she is miserable. Her husband is controlling and belittling, as is her mother...who is one of the reasons she married. Under the pretty exterior, she is in turmoil. After a troubling argument with her husband, which ends with him saying they should just divorce, she leaves for a planned trip to visit her mother in Magnolia ("in between Memphis and Little Rock"). While there she reads the journals of her Grandmother Margie, who strikes out on her own in 1920's Paris and is filled with the same inner angst as Madeleine. Are either of them going to find a way to live their true selves? I picked up this book because A) it has the word Paris in the title and B) the A in Paris is shaped like the Eiffel Tower. I really am that shallow sometimes when it comes to books. 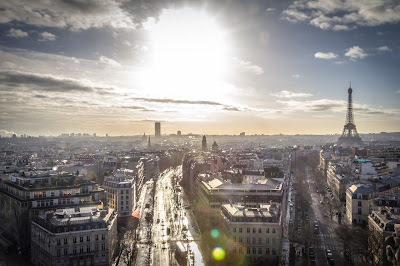 But, I am a total Francophile, and love reading about Paris during the Jazz Age. The book alternates between Madeleine and Margie...and all of the chapters that had Margie in Paris reminded me of the movie Midnight in Paris, which is the only Woody Allen film I have ever enjoyed. (It didn't hurt that Tom Hiddleston plays F. Scott Fitzgerald) Her story arc was compelling to me, and I found myself hoping her life would turn out different than I already knew it would. But what really kept me reading was Madeleine. I know some of the other reviewers complained that they felt Madeleine's character was too whiny, ungrateful, etc. I, on the other hand, could empathize with her angst and her problems with self-esteem. That feeling that it all comes easy to other women, and so hard to you. To illustrate...I look at women wearing scarves all the time and think they look so beautiful and well put together...I put one on and spend the day fussing with it, afraid I look like a goofy impostor. I could give you a million examples, but I am sure me and Madeleine have that in common. In the book though she is reminded, and I need the reminder too sometimes, that you never know what is going on in the minds of anyone else. 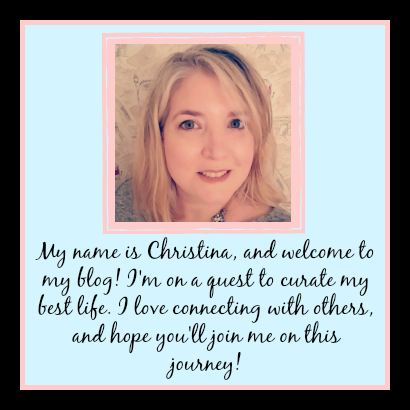 In The Survivor's Guide to Family Happiness we met the character of Lindy, who main character Nina felt had the perfect life, and come to find out she deals with debilitating anxiety. Often times looks can be deceiving, and I honestly think that is worse now in the age of social media. So, in a nutshell, I really enjoyed this book and will definitely recommend it to folks at the library. I wanted to see Madeleine get past herself, and her horrible inner dialogue, and become her "true self"...and not who everyone else wanted her to be. I was rooting for her, and for Margie, all the way. 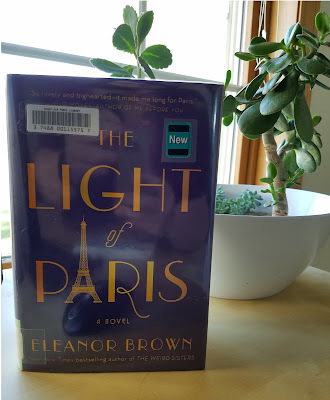 If you like Paris or stories about women "finding themselves" definitely add The Light of Paris to your To Read list.